You must make reservations at least 5 minutes in advance of the time at Hudson’s Hill Country. 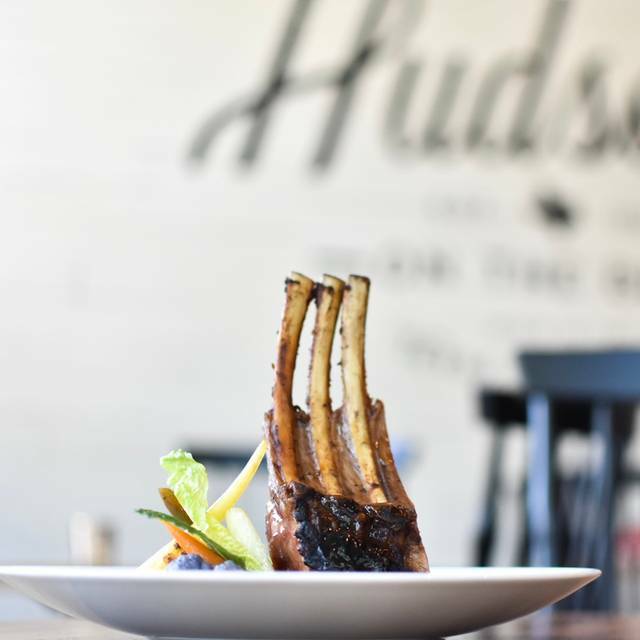 Hudson's is a local favorite and an Austin iconic restaurant nestled in the Hill Country in Austin, Texas. 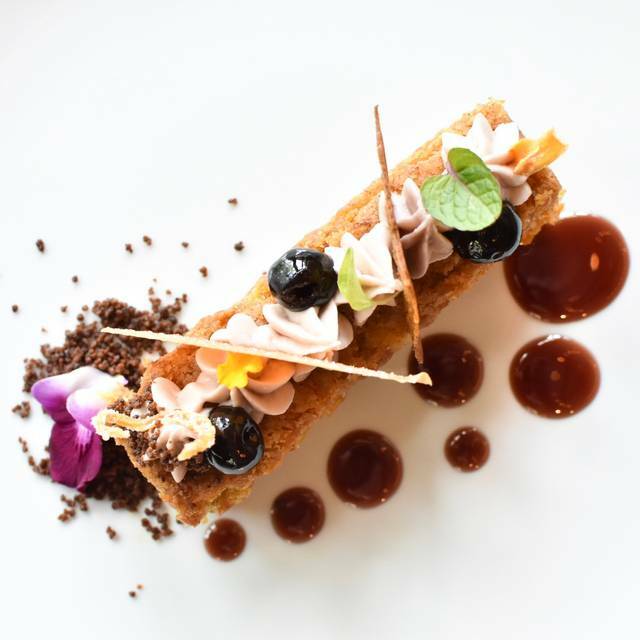 It opened its doors in a private residence in 1984 with renowned Executive chef Jeff Blank. For decades and generations, our patrons continue to celebrate special occasions or just celebrate an evening of no occasion with an extraordinary dining experience. 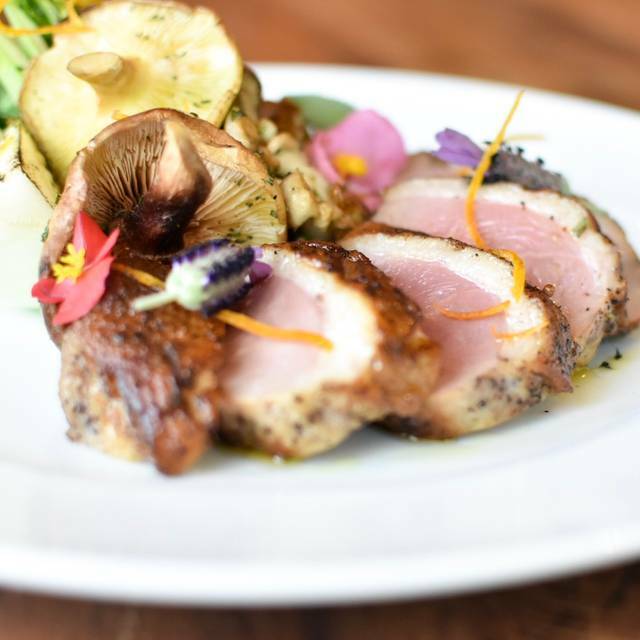 We feature exotic game, fish and steak paired with a deep and diverse wine list. 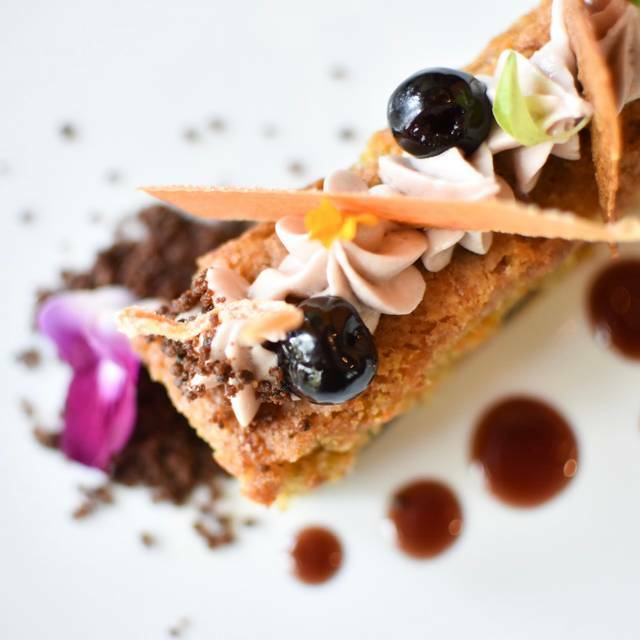 We offer a culinary experience redefined, combining traditional and modern recipes that incorporate the bounty of the Texas Hill Country alongside exotic ingredients from all over the world. We welcome you to enjoy Hudson's Hill Country, fine dining that’s unique in tradition, in a charming and rustic hill country atmosphere. For special events, special occasions and corporate meetings please contact Hudson's Hill Country directly at (512) 266-5644 or events@hudsonshillcountry.com. Sadly, this Hill Country gem is near death. 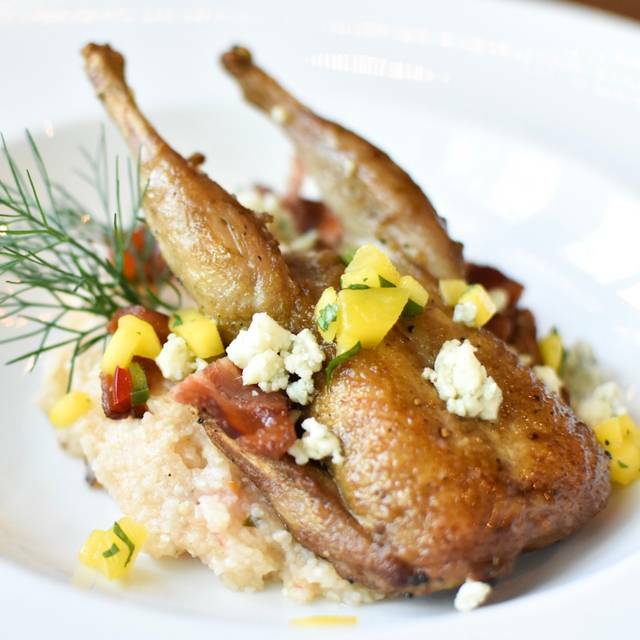 We used to dream about returning to Hudson's with each trip into Austin. This always included businesss associates and customers. Not any more. The food served was offensive at best. From the cheap bigbox roles to the bait and switch shoe-leather duck. Three seperate dishes had the same, exact store bought bottled sauce. The bok choy tasted like a smoldering campfire. Take it from professional middle aged foodies...simply run as fast as you can. We have been patrons to Hudson's over the years, but it seems like they are still getting their feet under them after reopening under new management. For the price of the food, I had come to expect a bit higher level of service. The menu is limited, albeit with a variety of interesting options. The food was perfectly prepared and flavorful. We had a great meal and Lisa our server was AMAZING! She brought out snacks and little things for my toddler to play with and be distracted while we enjoyed the delicious food. She made our experience great and we will ask for her next time we visit. Horrible horrible service. Wine list was awful. Food was served cold. Poor value for the money. I will not return. warm atmosphere, xlnt service, friendly staff, and good food. 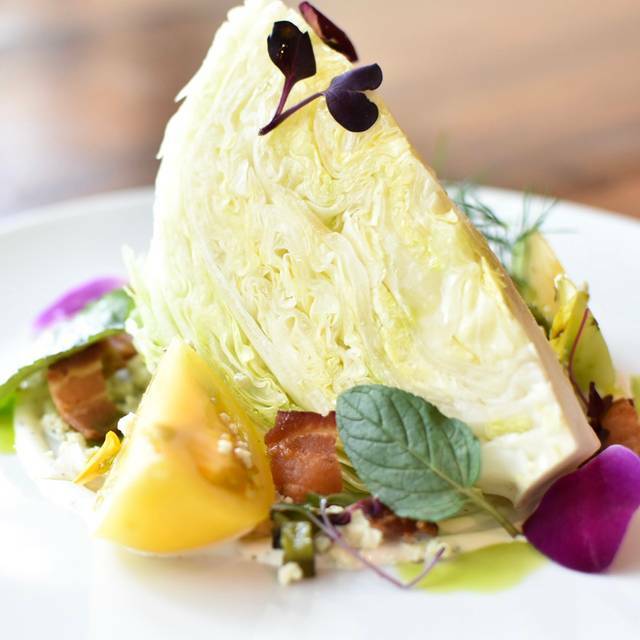 for an austin restaraunt it stands out in ambiance, service and food. 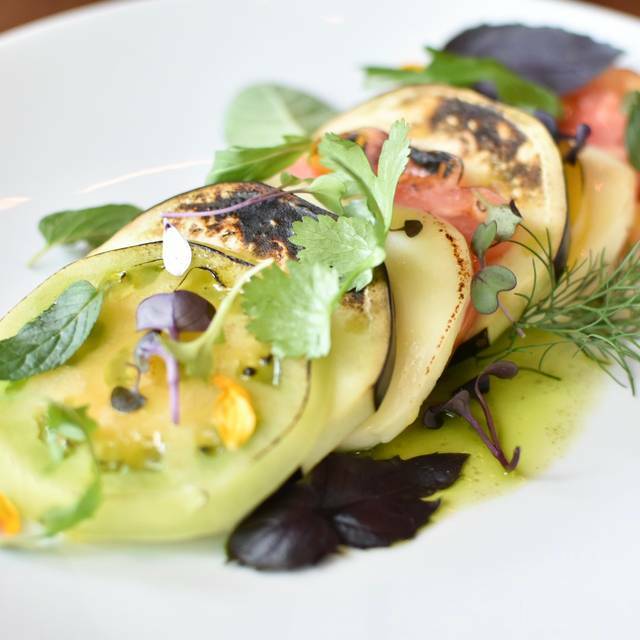 hudson's falls short on limited menu choices and a small selection of wines by the glass. the overall meal rating is somewhat mixed. i should have sent the mushroom dumplings back as they were overcooked and cold, and almost inedible. alternately, the steak was as close to perfection as any hunk of meat i've ever eaten. cooked to perfection, nice flavor and sooo tender. we'll be back. The group really enjoyed the atmosphere, the music, the food, and the service. What a pity. We went there on a Sunday night. The service was completely inexperienced and very slow (not the fault of the server - the fault of the management). Apparently the only competent person in the kitchen that night was a 19 year old trainee chef. The food was pretty good, when it came out, but the whole magic of Hudson's on the Bend has gone - it was lifeless and quite frankly not worth the money. We would have done better at, say, Jack Allen's Kitchen for a lot less money. The management is at fault - if you bother to read this - get someone who knows how to open a bottle of wine, and to pour a little out for someone to test - don't just have them get the bottle open and go right ahead and slosh it into everyone's wine glasses. Speed up the dining process a little - get some more experienced help in the kitchen. There were literally only two other tables with a few folks at each that night yet it took about 2.5 hours from start to finish. The people working there wore miserable expressions.....need I say more? Wonderful place recommended by our host at Casa del Sol B and B. Great food and service and wonderful live music spilling over from the bar area. A little pricey but worth it. Food was simply terrible, especially given the price of apps and entree. Food quality was the biggest issue...Service was ok but overall experience was negative and will not be back. This restaurant used to be great in years past.. not sure what happened. Food was great! We all had different things. Drinks were great as well. We were outside and it was very slow but with such a gorgeous setting, I didn’t mind. I hope people give them a try. The worse experience ever. We had a dishwasher coming out helping us with the service because they were under staffed. There’s not enough words to describe how bad our experience dinning at the restaurant on my 45 th birthday celebration was. I wouldn’t recommend this place to anyone the food was over cooked, served cold when we finally got our food after waiting for 2 hours. Wonderful food! Great service! My husband and I joined two co-workers for dinner at this beautiful restaurant and were delighted with both food and service. Everything was prepared to perfection and such a super evening for us to remember. 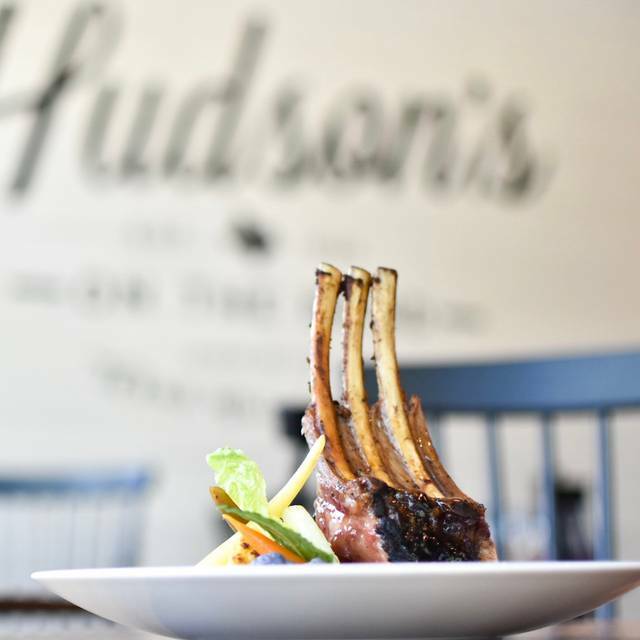 We've been to Hudson's three times since it was sold by Chef Blank. Each time it has deteriorated. On Saturday at prime time the room was almost empty. We sat at the bar and the bartender was generally friendly, but simply untrained, uneducated in service, and inattentive. Example: we sat for 20 min with our card out to pay before she came back at the end of the meal to tab us out. The food was OK. Hudson's has always been a bit pricey, but previously it was worth it. The value is no longer there. My duck was overcooked. The trout was fishy. And all was oversauced so you couldn't taste the meat. The wine list has also always been on the high side, but again we used to be able to find some good options and there were plenty of choices. We aren't afraid to spend money on good wine. But the list is now trimmed down and poorly chosen, yet remains overpriced. There were only 4 wines by the bottle under $100, and most were $160 plus, for not great options. Wine related service example: we ordered a bottle of Veuve Rose, and she opened our bottle on the other side of the bar, without presenting it, and opened the wrong bottle. Once corrected, she poured a full glass that was warm. It's unfortunate that a historic institution has fallen apart so badly. Ambiance very nice . Service was slow. Waited almost 15 minutes for a cocktail. Food good okay. Lots of fried food on menu. Expensive for what we ordered. Hesitant to recommend, but would after acknowledging my first 6 comments. Service was great and food was outstanding. Would have liked to know that the dinner was a fixed price dinner - thought we would escape that by coming in after Valentines. Selections were very good though. Wine was great but would like to see a few more by the glass options. Not someplace I would dine weekly unless funds are unlimited. A great place for a special occasion. My husband and I celebrated Valentine’s Day here last night, and while we expected things to be a bit off due to the volume of diners celebrating , we walked away very disappointed in the way management handled things. We were seated 45 minutes past our reservation time and all we heard was, “I’m sorry”. Most classy places offer a free drink or a discount on the meal but we got nothing but an apology. We noticed two couples get up an leave before they had even ordered their food. Not a good sign but at 8:45pm we were hungry and didn’t have another option. While the food tasted ok, I was shocked with the prices given the limited dinner options and serving sizes....I had ordered the tenderloin but our server came back 20 minutes after I ordered to say they had run out of steak. Another strike in my book. I think there is a lot of potential here but management needs to step up and offer a better dining experience for the customer. Happy customers equal return customers and so it’ll be awhile before we return here. Food was really good, although not quite what I remember from before. Service was spotty and lacking. We waited at the bar for our table and were forgotten. I ordered flowers for our table and they were misplaced, took the staff half an hour to find them. Waiter was competent but impersonal. Unfortunately, we had poor service which I believe was the result of an unprepared kitchen. Offering a limited menu should have made for quick and efficient service on the special Valentines holiday. However, this was not the case. Our meal took over 2 hours. Dessert alone, a simple chocolate cake, took 20 minutes. We barely saw our server, at no fault of his, he was extremely busy with many tables. We would expect impeccable service considering the menu price. The steak was excellent but we won’t be returning. Very good food, decent service, restaurant has a few more kinks to work out with new management but overall a great experience. Its been awhile to dine here since Hudson's closed and reopened under new owners...we decided to give them a tryout on Valentine's evening. A set 4 course menu for the evening was offered in which one could choose from 3-4 items per course. Good to see several items from original Hudson's menu offered. Only issue was our waiter, Philippe, needs a bit more experience as we had to ask for certain items (bread, salt & pepper, another knife) couple of times b4 finally receiving. He also got our orders mixed up upon delivery when in an upscale restaurant such as Hudson's, wait staff should remember who ordered what. A bit of savoie faire experience is needed here. Also the interior of dining area has changed making noise level much louder than b4. A wine wall used to separate two main dining areas but has been replaced by a lattice type panel which allowed overheard conversations if diners are seated against it. We do like whats been done at the bar and more outside dining. Ladies received a long stem rose which was a nice touch. We'll give it another try on a regular night. The worst and slowest service we have ever experienced at a “high end” restaurant. We eat out often at upscale restaurants and I took my wife to Hudson’s for the first time on a date for their 3 night Valentines Day menu. There were only 5 couples dining and our meal took 3 hours. 2 hours to get our entree and our cocktails and water were empty half of the time. My wife told the hostess that the women’s toilet was clogged and she was told to just use the men’s room. After 3 hours we cut our losses and asked for the bill before the final course arrived...$355, which included the final course we never received. We did share our feelings with them and they reduced the bill by half and gave us the final course to go. We will not be returning to Hudson’s. Jeff, While we did not meet your expectations last night we do appreciate you taking the time to make us aware. Without people like you letting us know we have no way of correcting the problems. We apologize your experience was not what you had expected from a fine dining establishment. I would like to speak with you further about your evening and hopefully have you back in to give us a try! Please email me at hudsonshillcountryevents@gmail. Thank you Jeff. We love Hudson's! 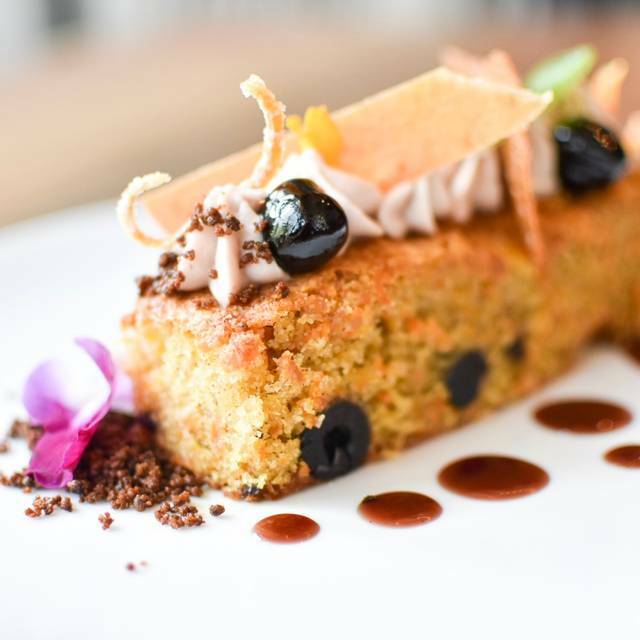 Great food that you won't find anywhere else in Austin. I would recommend them over and over! Can't wait for our next time in. Our dinner at Hudson's Hill Country was wonderful! The service and the food were excellent and the live music made the evening very relaxing. We would definitely recommend Hudson's Hill Country! This was our first experience at the latest hudson's. I will try to hit things as quickly as possible. We dined on a Saturday at 630pm. The first thing that is immediately obvious is the new styling. While different, it was very nice. There was live music when we were there, and I thought that it was too loud, making conversation difficult. The appetizer we had was the dumplings. For the price, I thought there was alot of dumpling and very little filling. They were flat, sticky and lacking taste. The garnish underneath was clearly from a bag and not fresh. This set the tone for the whole night, although the disappointments came from many different directions. I had the venison. It was a nice enough presentation, but ended there. The portion on the venison, which I was told was Axis, was woefully small. I've eaten alot of Axis over the years, and I remain puzzled by what cut this was. It appeared cooked appropriately rare, but was difficult to see in the lighting. It was, unfortunately quite tough for what I was expecting. The cornbread atop the serving was dry and may have been sitting too long. Hard to say. The king crab was neither succulent not tasty, but did have a fishy odor. The potatoes and vegetables were good. My wife had the eggplant stack which was cooked perfectly, but could have used more mango jalapeno aioli. The dessert was another letdown, as we were looking forward to let our son try the carrot cake which we used to make out of the cookbook. They were not serving that. Ok, how about the cheesecake. Not serving that either. Our waiter suggested candied apples, which was not on the menu. The apples were neither candied nor good. I would say they were sautéed. There was a dollop of ice cream, some sad apples and a flaky mess in 3 separate piles. I will be blunt here and say that this dish sucked. It was our first time to dine with the new ownership and we loved it. The owner even came over and introduced himself and thanked us for dining with them that evening. The food and atmosphere was excellent. My wife and I have been dining at Hudson's weekly over the past month and have found the experience to be exceptional. I must qualify that these visits have been primarily early in the week and early evening. The rooms are intimate and quiet with service prompt and attentive. All courses arrived appropriately timed and all were superb. Dining here can best be described as reminiscent of fine European style...perhaps smaller portions but each bite exquisite, service professional but not over bearing and having staff that truly care about their work and providing you with an overall excellent experience other than just another meal out ! A great place for a romantic evening or a special night out. We will certainly continue to return here as it is hard to break the habit once you have visited. This restaurant has a very long way to go. A far cry from the days of Jeff Blank. We have been to Hudson’s many times and were treated like Kings. We were excited about returning and booked for Saturday night. Waiter and staff didn’t show up To take drink orders or even to say hi and other folks in the restaurant didn’t seem to have any food at all. Not wanting a long ordeal we left. Hope we can return when we’re comfortable they have it together. Hudson's Hill Country operates at the site of Hudson's on the Bend, a famed Hill Country restaurant that closed some time ago. The premise of Hudson's Hill Country is that it maintains the culinary tradition of its predecessor, characterized by a very creative cuisine that rested on a solid menu of smoked meats, venison, boar, even rattlesnake, served along with a rich variety of unconventional sauces and chutneys. Unfortunately, the present menu does not measure up. Maybe with time it will... time will tell. So, those who expect to recreate the experience of the old Hudson's on the Bend may be disappointed. New customers may not care. We just had apps, soup and dessert, but all great!!!! The tomato soup was literally THE best I have ever had. The live music was too loud, even in the remote dining room. The food was so so. Loved the ambiance though. Wine prices were above normal markup. We have been to Hudson's many times over the years. The patio and bar area have improved from a visual and ambiance standpoint, but the food just does not meet the standards of the past. For the first time in 20 years I returned a meal because the chicken fried antelope steak prepared for me was not edible. The manager indicated that someone in the kitchen had doubled the pepper in the gravy. Not sure how this happens in a restaurant of this standard. They were kind enough to replace the meal with grilled shrimp which had little flavor at all. My wife had the famous hot and crunchy trout, and it too was not the same. Two small filets instead of one and the flavor was not as good as in the past. Maybe a good place for a drink on the back patio or bar, but the food really needs upgrading to meet the standards of the past. I was there with my family for New Year's eve. Food was excellent servers were nice but not so attentive. I had to keep asking for drink refills and I was just having iced tea. Hudson's Hill Country was great!! A true gem. The service was terrific, the food was exceptional with unusual fare and desserts, and great drinks. One of our new favorites! We dined Christmas Eve close to the bar and were the only table in that part of the restaurant, which was very odd. There was a band and being the only table in that room, was a tad awkward however the music was nice.